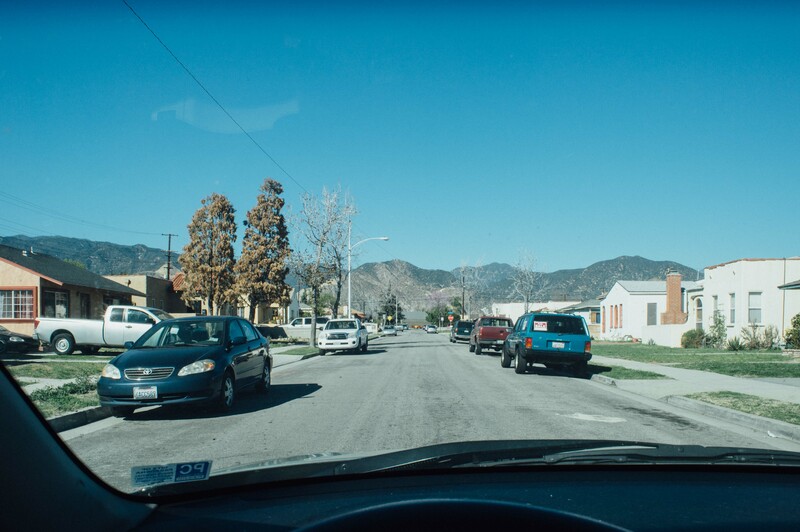 The following photos were mostly taken in the past few weeks as I drove, walked and biked around the Foothill Cities — Arcadia, Azusa, Duarte, Irwindale and Monrovia — that will be served by the Gold Line extension opening Saturday. While the train certainly offers some sublime mountain views, riders see only a slice of these cities. 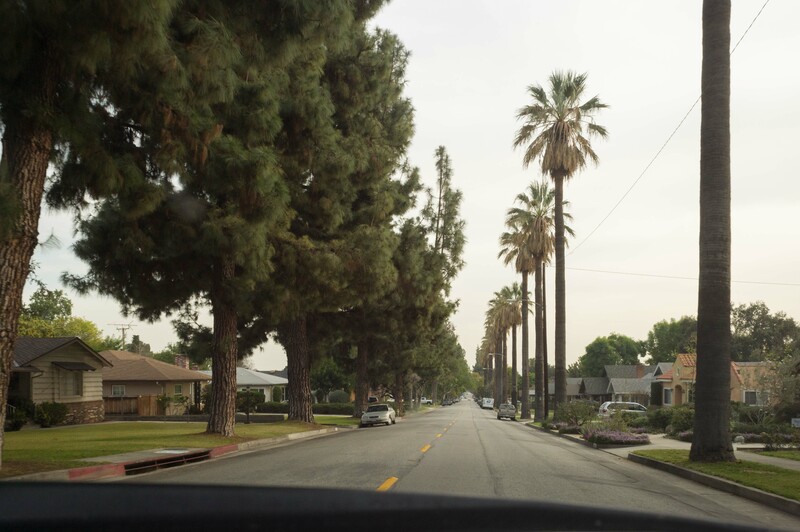 They’re really interesting places — a mix of old-time California village and bedroom community inextricably linked to the San Gabriel Range that rises abruptly above them. 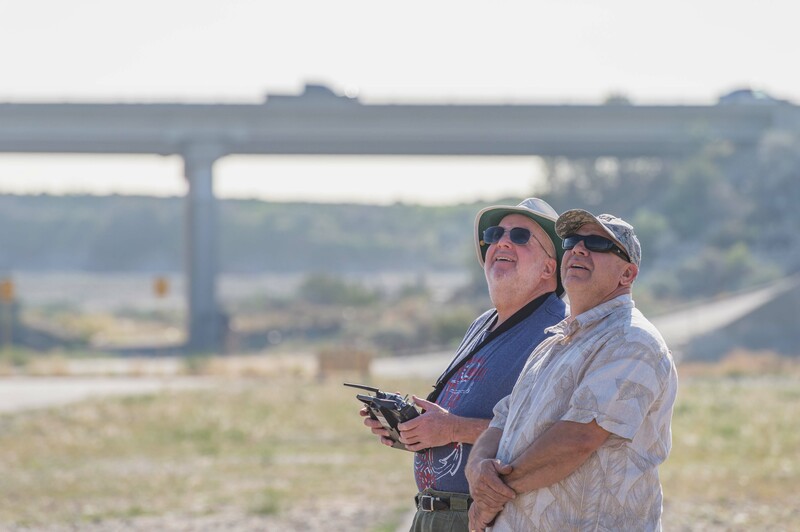 I hope the images provide a more expansive view of the Foothill Cities and some of the people I met there. Click on any photo for a larger view (they look better larger!) and to start a gallery view. 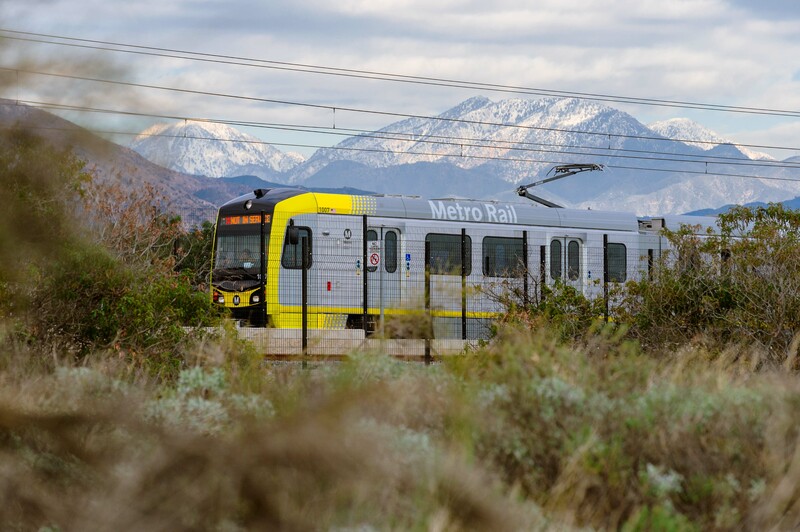 A westbound Gold Line test train between Irwindale and Duarte stations. A waitress at Rod’s Grill in Arcadia (41 W. Huntington Drive). 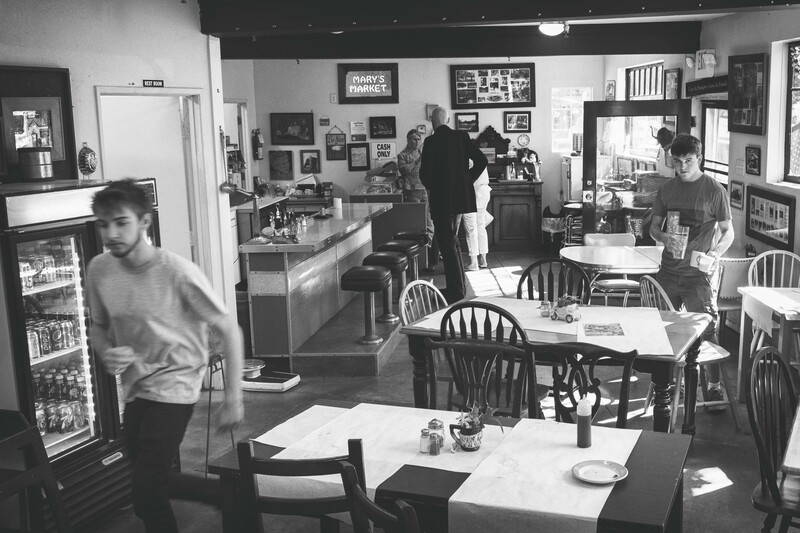 The diner opened in the late 1950s and is an easy walk from the Arcadia Station and on the way to Santa Anita Park. 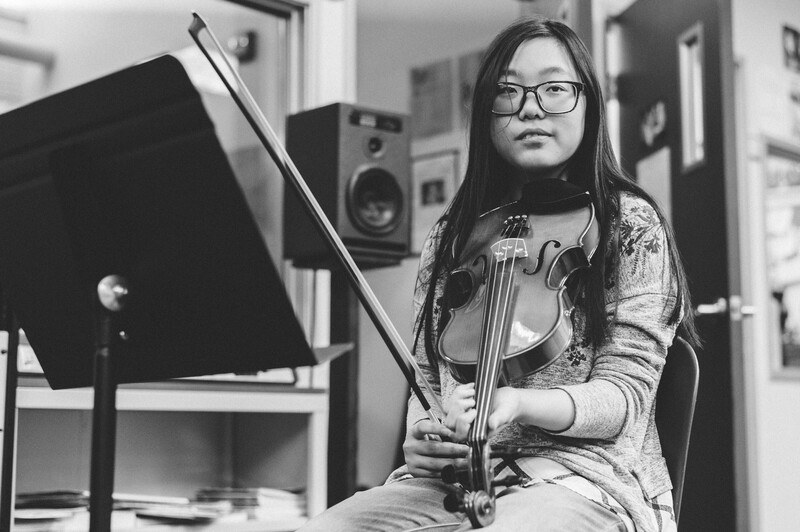 Vera Xie in a music class at Arroyo Pacific Academy in Arcadia. 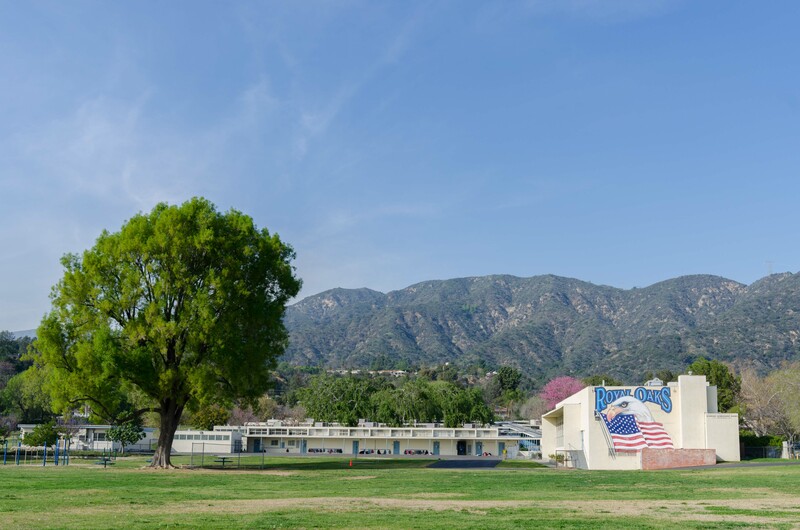 The school is a short walk from the Arcadia station. 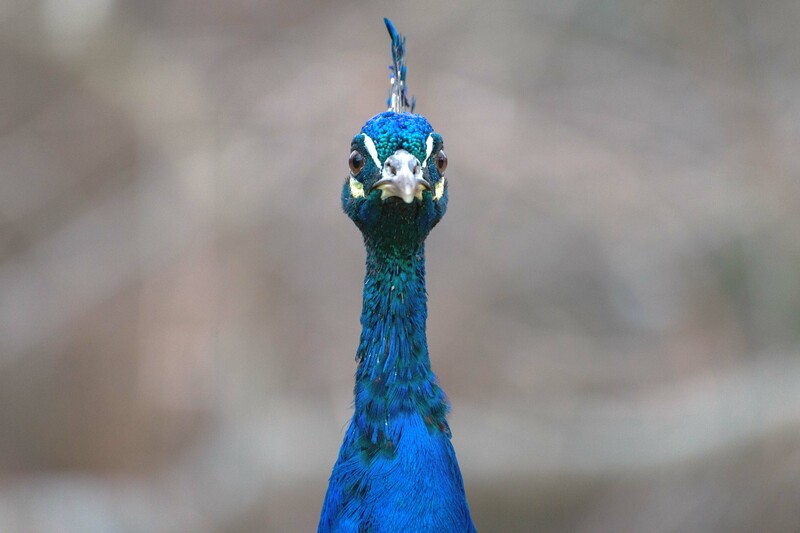 Peacocks may not be native to So Cal, but they’re all over Arcadia thanks to the population found at the Los Angeles County Arboretum. Arcadia will be running a shuttle bus between the Gold Line and Arboretum. 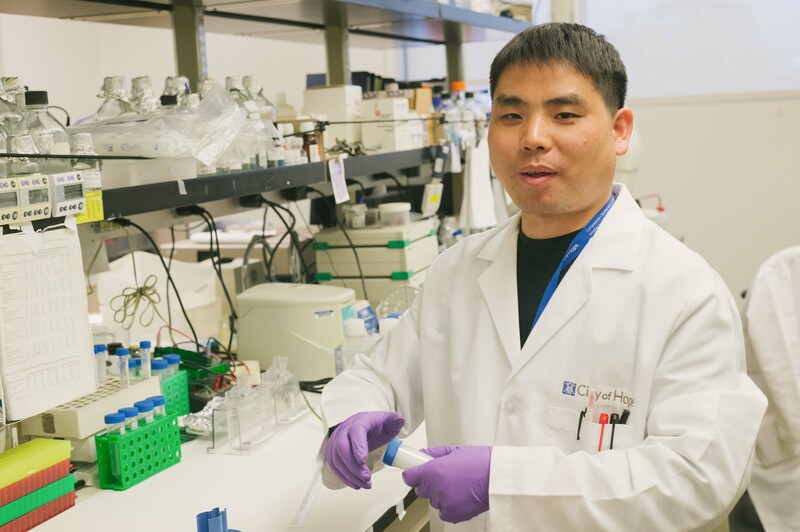 Dr. Yuanzhong Wang, a staff scientist, in the City of Hope’s Superfoods lab. 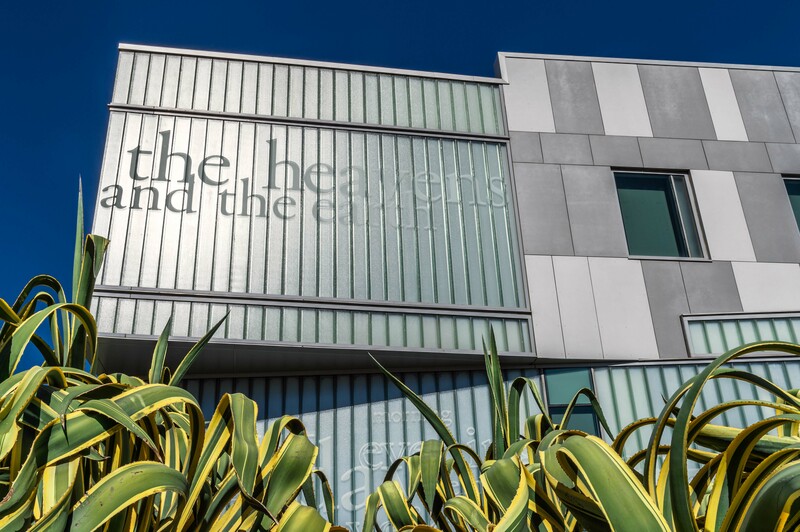 The cancer and research center is based in Duarte. 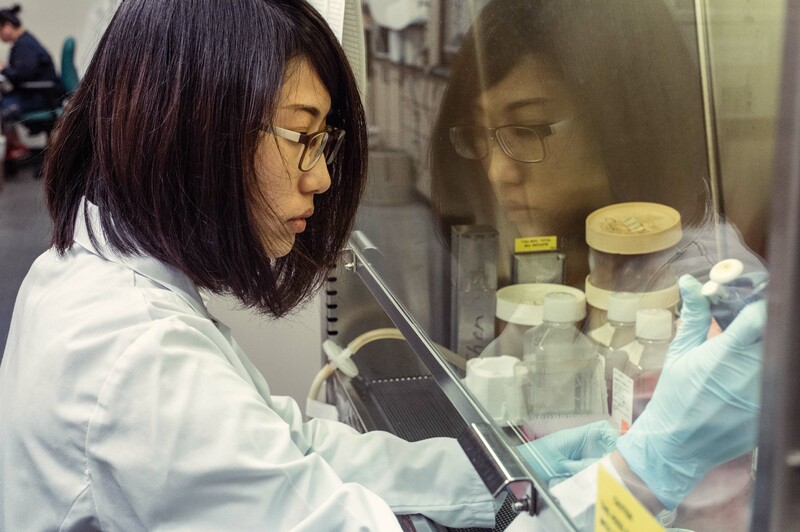 Dr. Miai-Juei Huang in the Superfoods Lab at the City of Hope in Duarte. 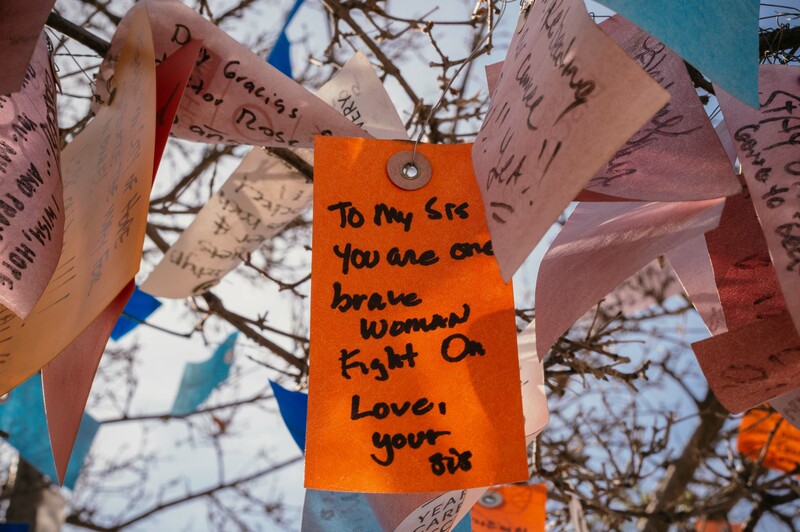 The wishing tree, City of Hope. 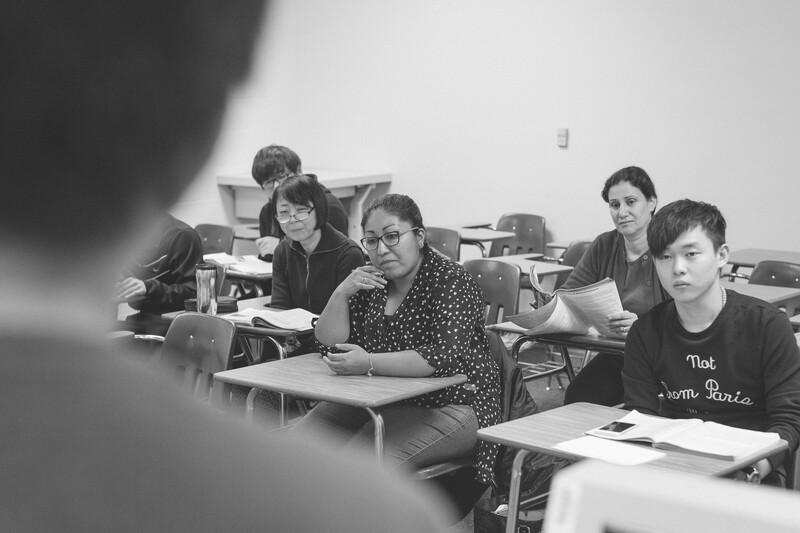 An English as a second language class at Citrus College in Azusa. 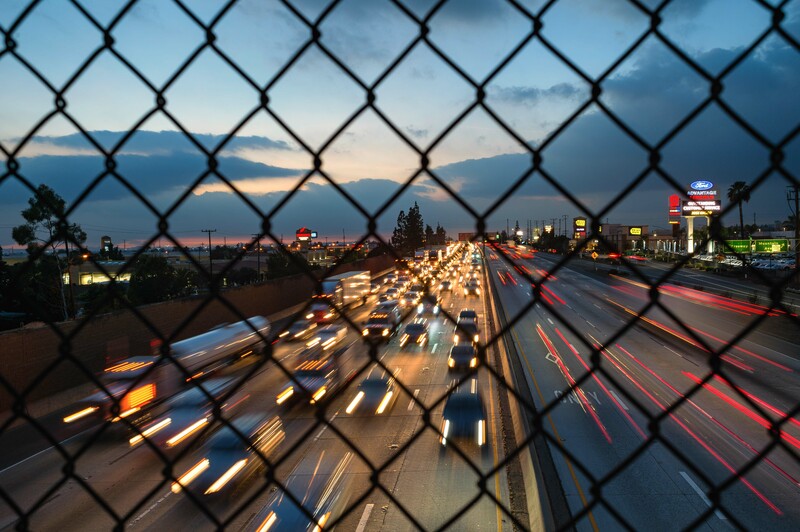 The 210 freeway at rush hour as seen from a pedestrian overpass in Duarte. 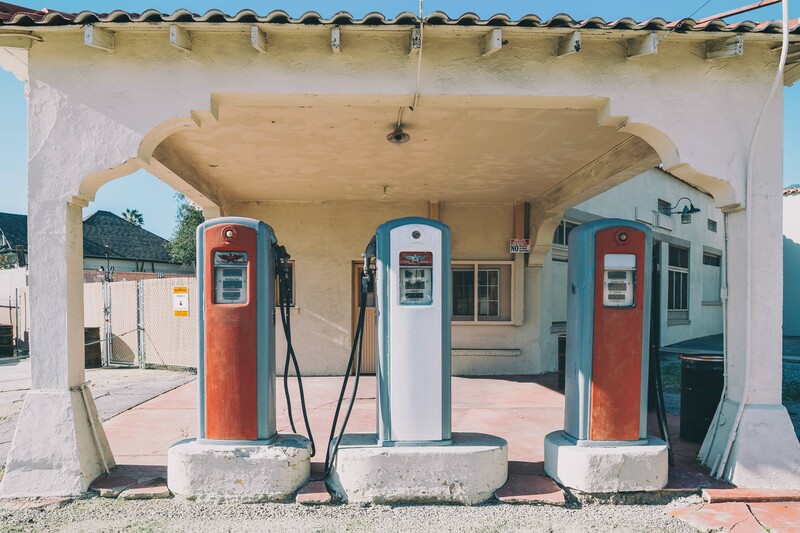 A defunct gas station along an old alignment of Route 66 in Monrovia. 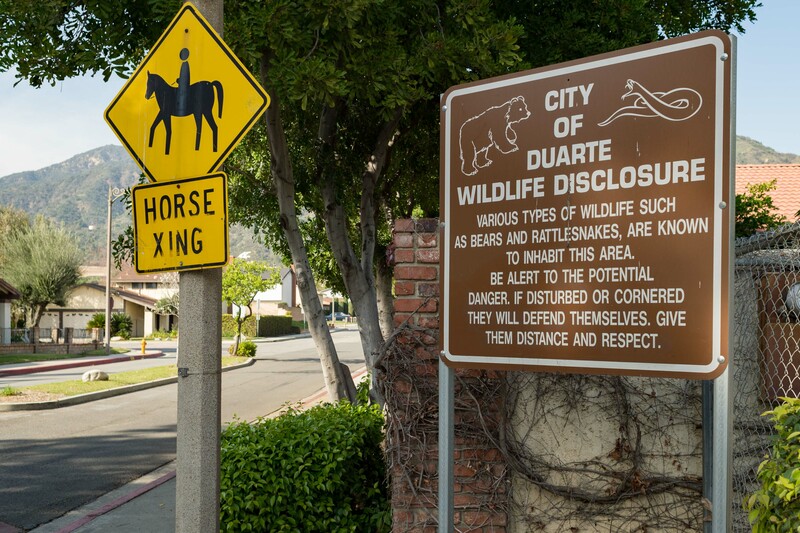 Old sign versus new sign, Foothill Boulevard, Duarte. 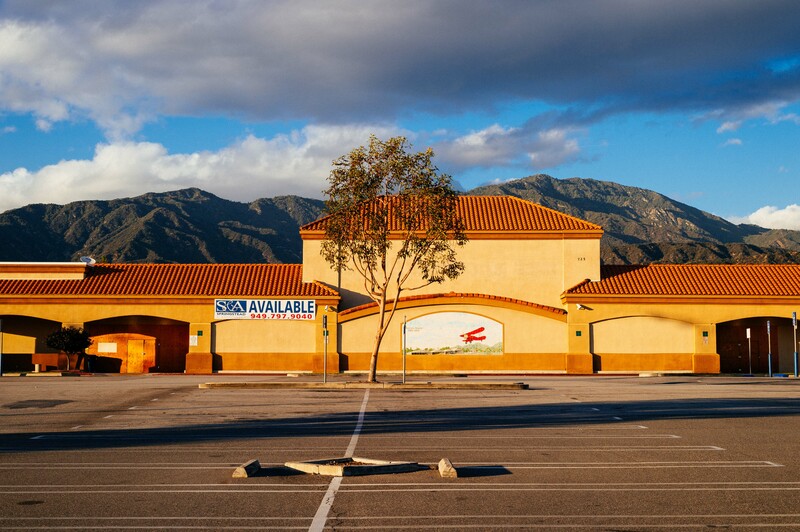 As with nearly everywhere in Southern California, the Foothill Cities have their share of car-oriented shopping plazas and strip malls along the big boulevard. 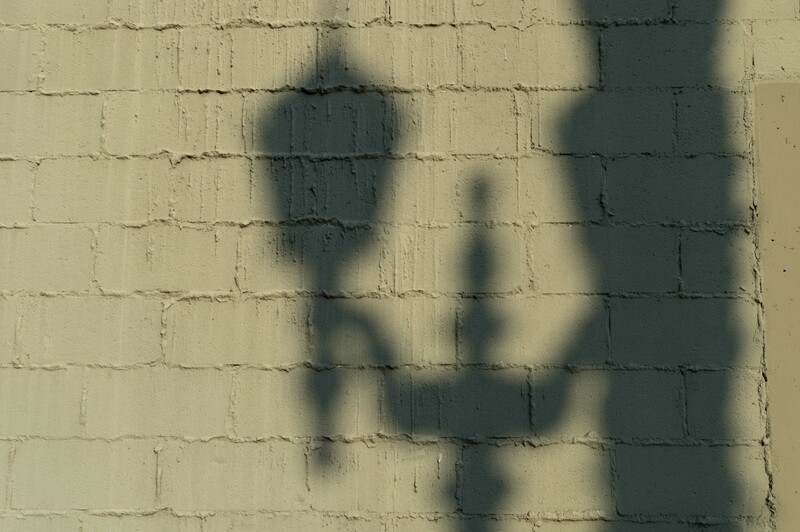 This one is along Foothill Boulevard in Monrovia. 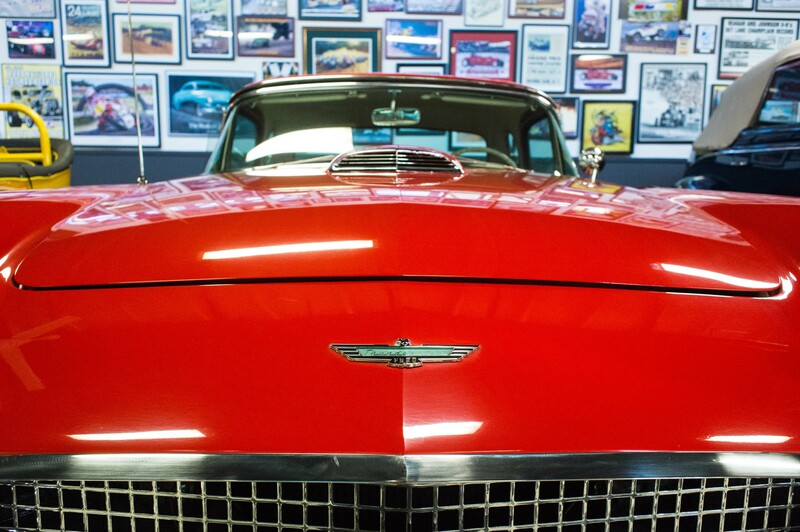 Justice Brothers, the Duarte-based auto supplies company, has a collection of race cars and classic cars that the public can view. See their website for info. 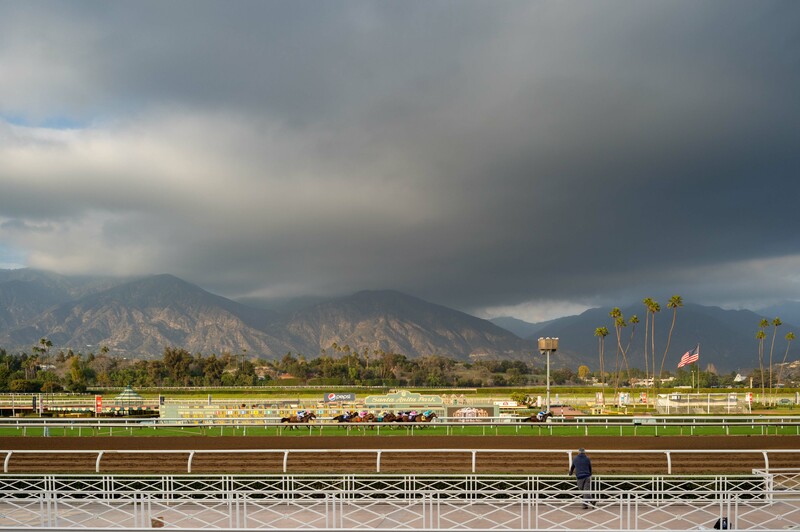 A race on the turf at Santa Anita Park. 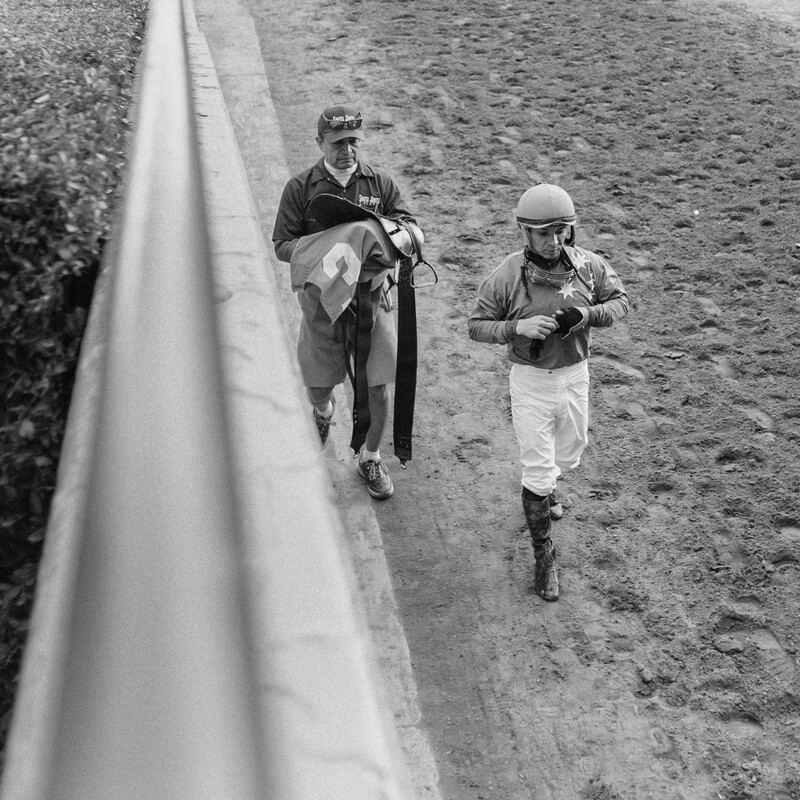 A jockey after the final race of the day at Santa Anita Park. 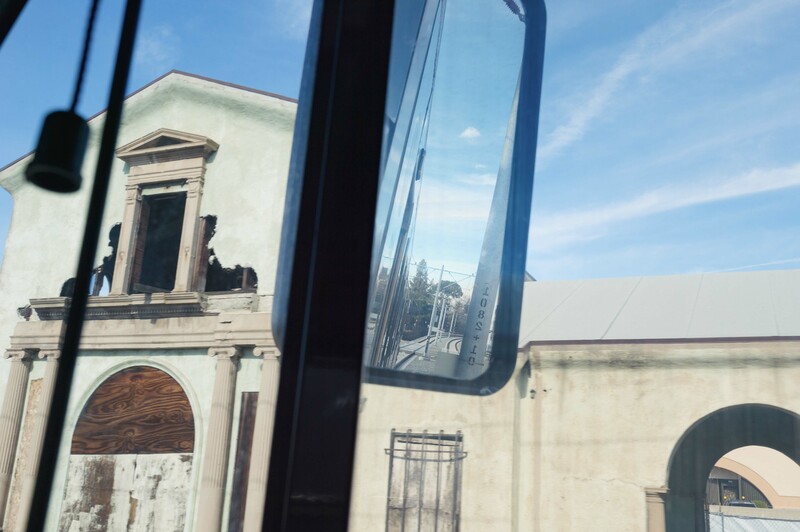 The old Monrovia Santa Fe depot as seen from a Gold Line test train. The city plans renovate the depot. 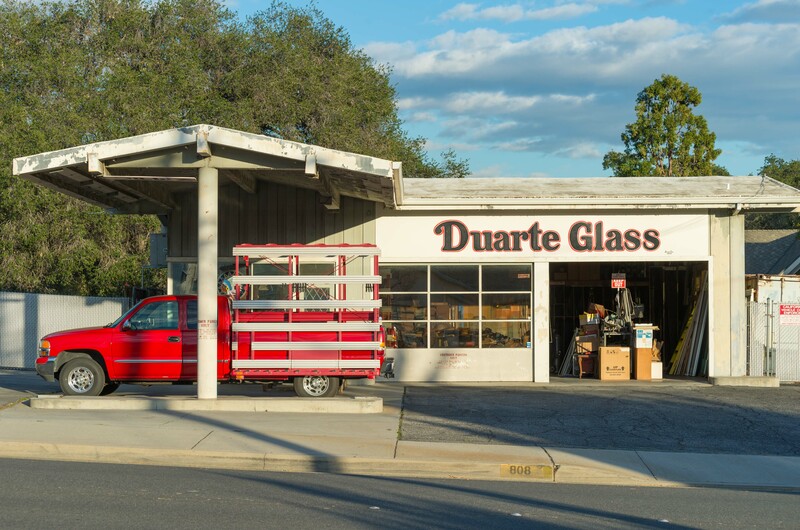 Small business and a conveniently parked red truck, Duarte. 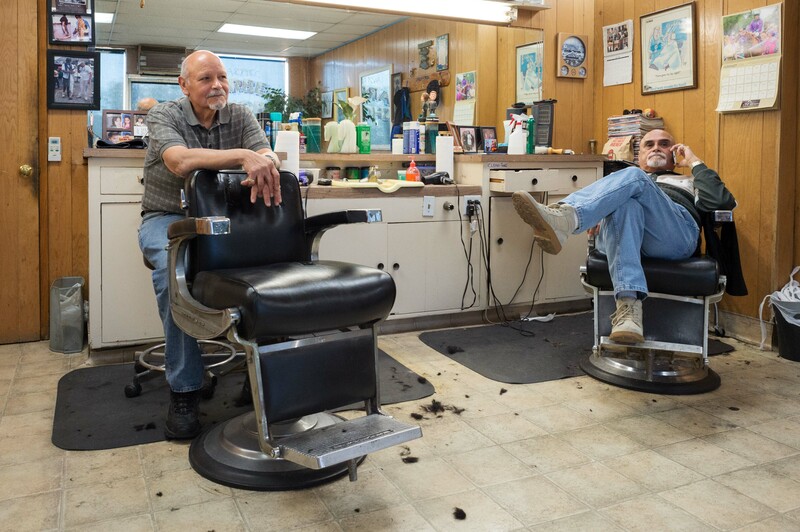 Joe and Ed at the Aztec Barber Shop in the old Aztec Hotel building on old Route 66 in Monrovia. 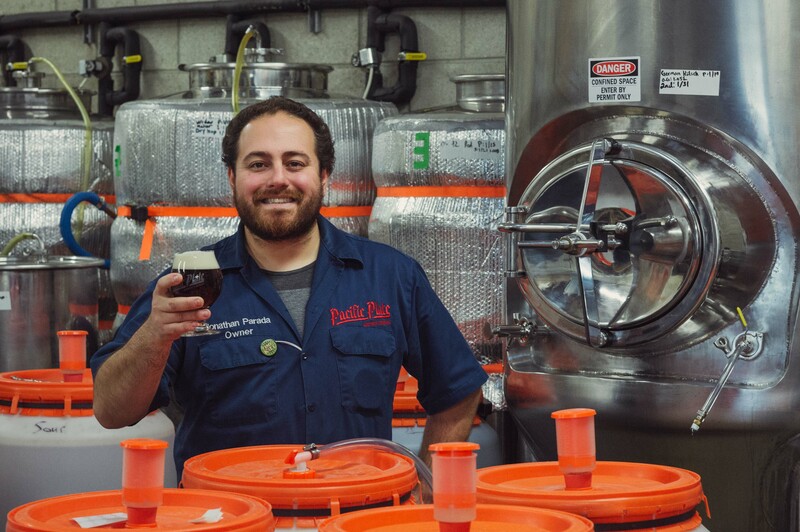 Jonathan Rene Parada, the owner of Pacific Plate Brewing Company in Monrovia (1999 S. Myrtle Ave.), a .3-mile walk from the train station. 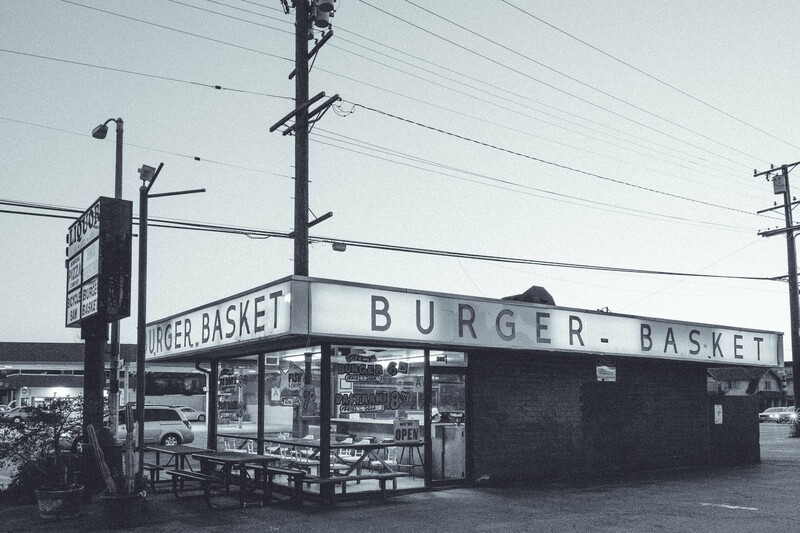 The Burger Basket in Monrovia has been around since 1963 at the corner of Duarte Road and Mayflower. Very old school! 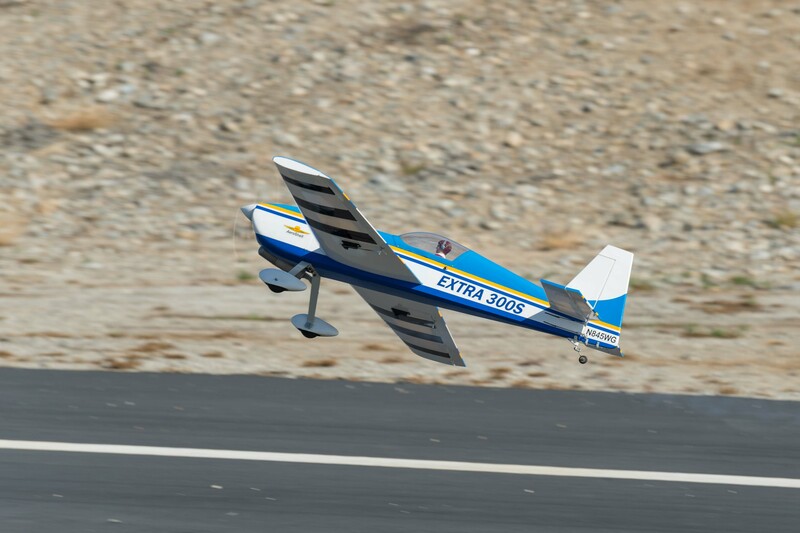 A radio-control plane at the Santa Fe Dam RC Modelers airfield in Irwindale. 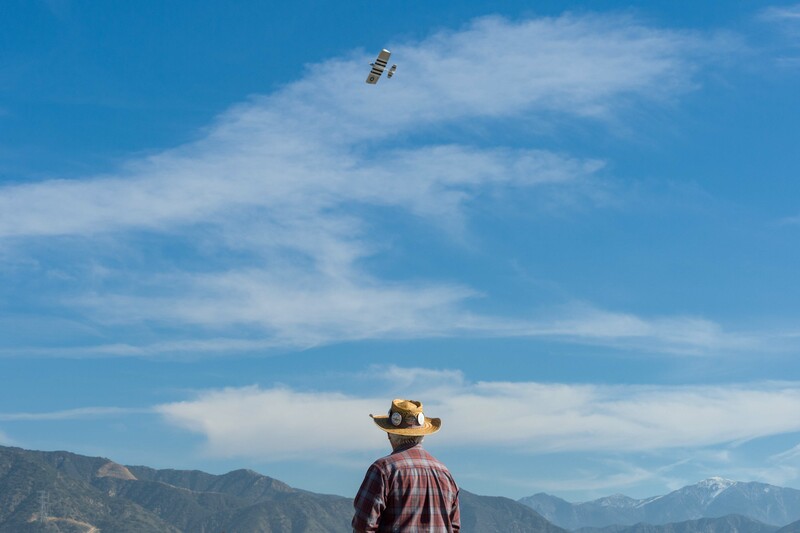 Jim Feldman taking his plane for a spin. 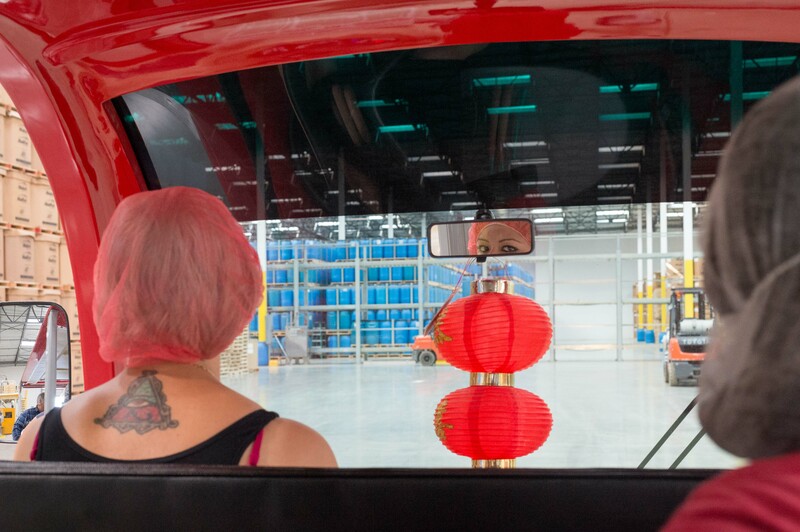 A tour guide at Huy Fong. The blue barrels are filled with ground peppers from last fall’s pepper harvest. 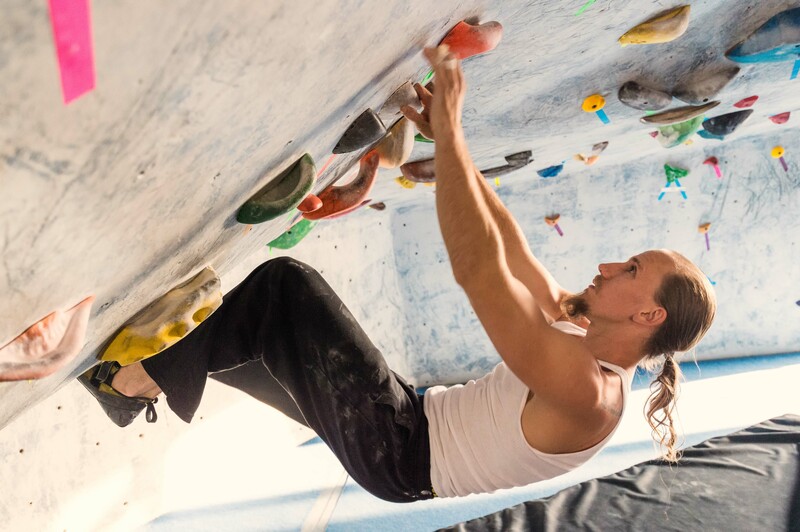 Jay Calleton shows some moves at Arcadia Rock Climbing (305 N. Santa Anita Avenue), a short walk from the train station. 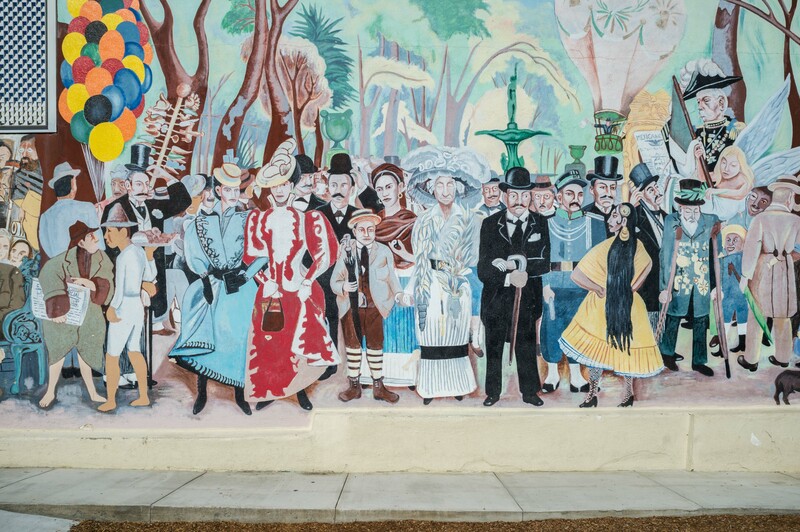 Miguel Medrano of Duarte at the skate park in Duarte–I believe the only skate park in the Foothill cities. Art shows up in funny places. 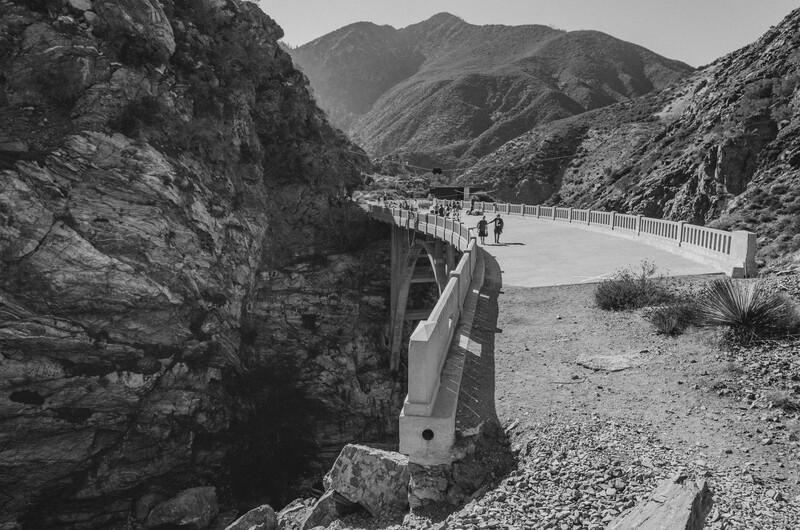 Bridge to Nowhere, the remnant of an abandoned road project intended to connect Azusa to Wrightwood. It’s a five-mile hike. 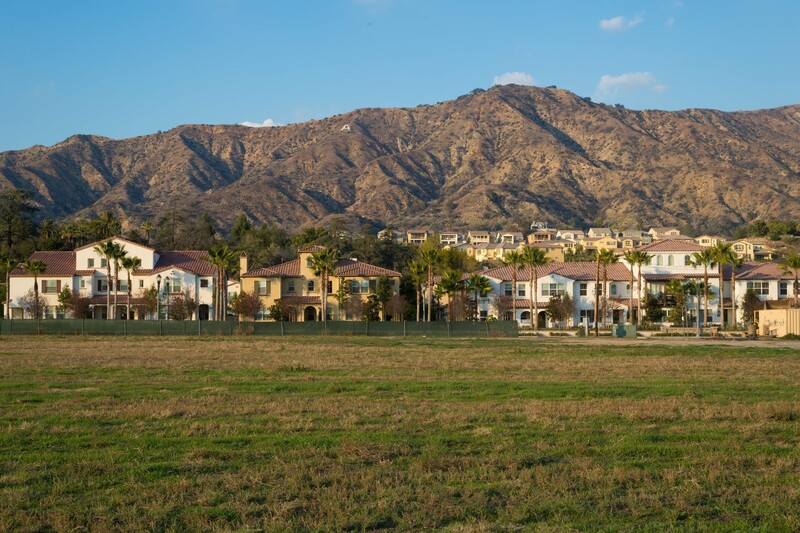 The Rosedale residential development that continues to rise north of the APU/Citrus College Station in Azusa. 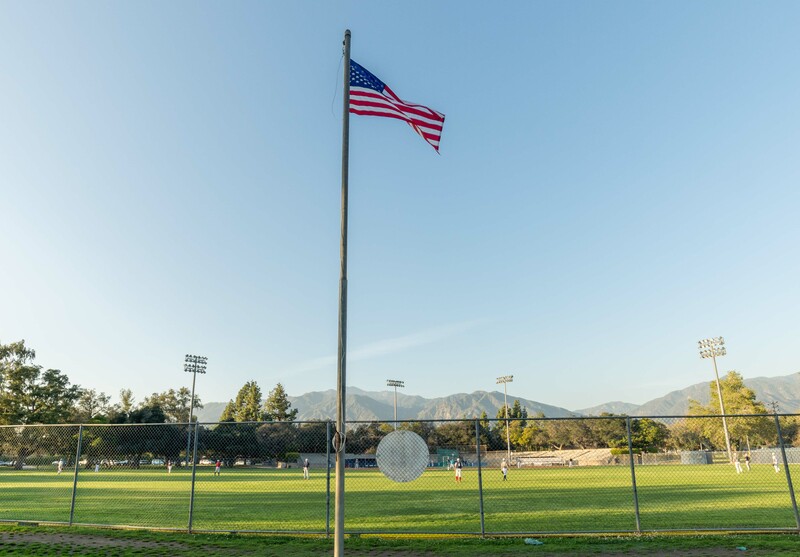 One of the baseball fields at the sprawling Arcadia Regional County Park. 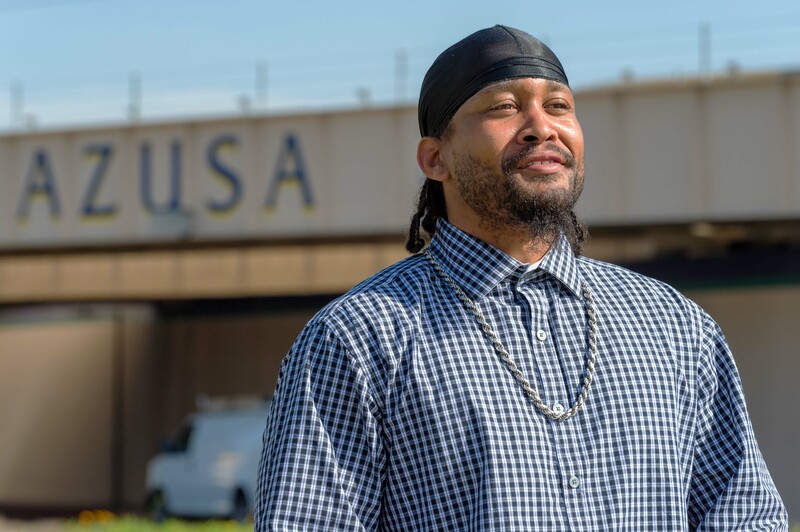 Warren Horton lives in Monrovia. 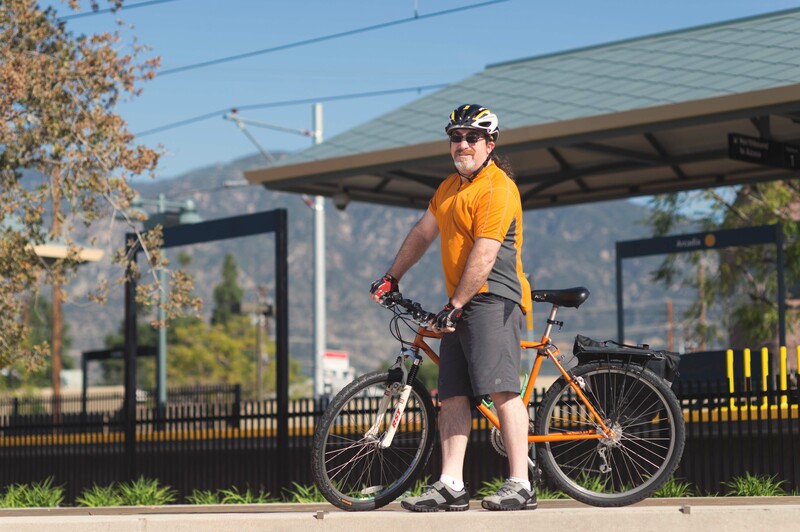 He’s planning on using the Gold Line and his bike to commute to his job in Pasadena. 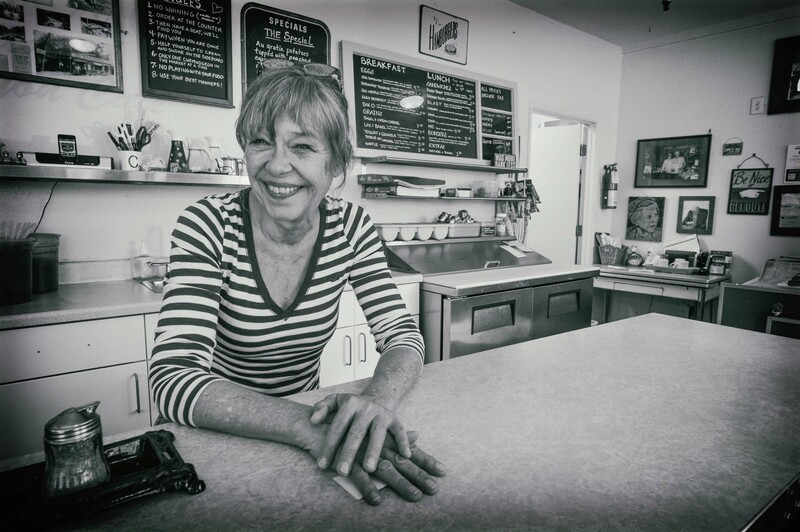 Carolyn, the owner of Mary’s Market, in Sierra Madre near Arcadia. The market first opened in 1922. Extremely Old School! 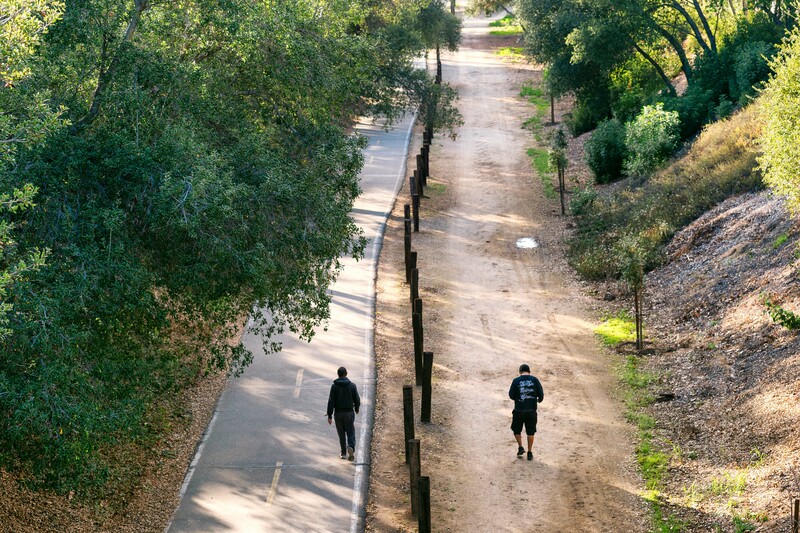 Walkers on the Duarte bike/equestrian trail–this was once a streetcar line. 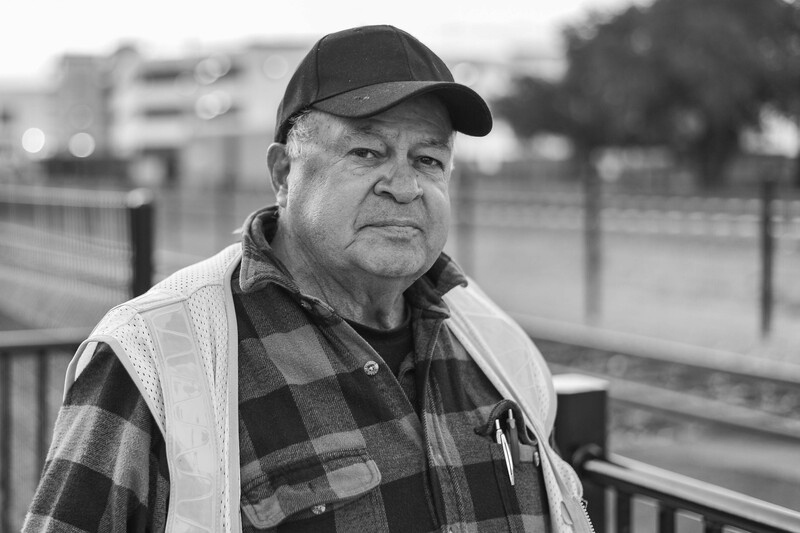 Gene lives along the Monrovia/Glendora border and is looking forward to sometimes riding the new project. An old home in Monrovia. Hasan, of Glendora. was surprised to see test trains whizzing through Azusa in late February. He says he might give the train a try. Cristy Passman lives in Glendora and currently takes Metrolink from Covina to reach her DTLA job. 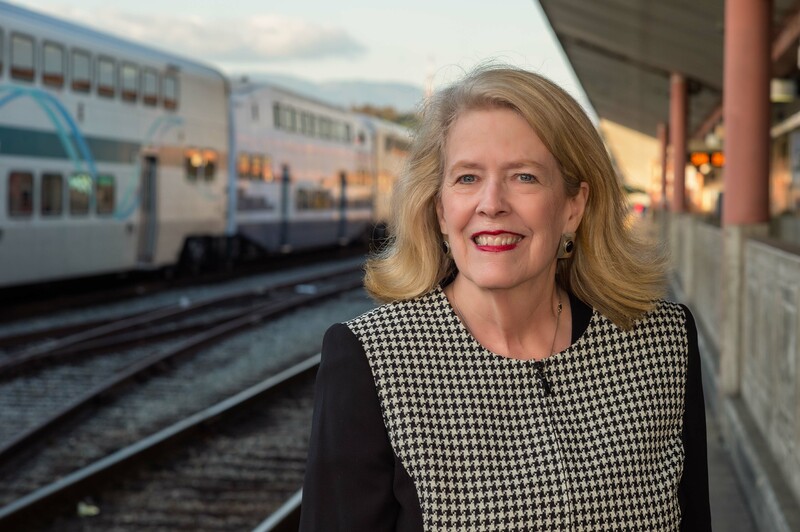 She’s looking forward to having the Gold Line from Azusa as a new and more frequent transit option. 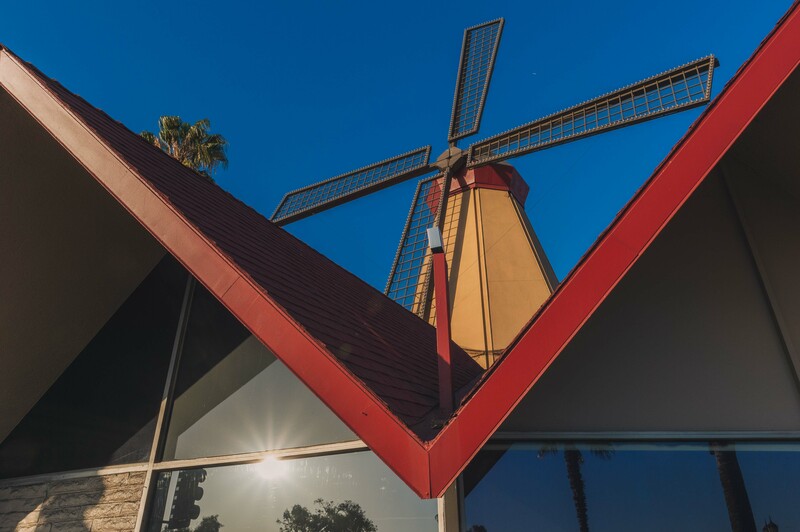 Former Van de Kamp’s Holland Dutch Bakery, now a Denny’s in Arcadia near the train station. 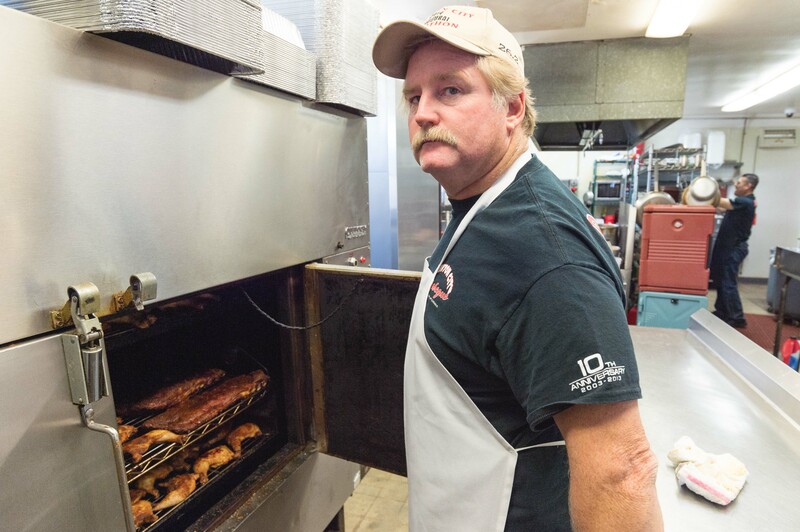 Don Hiti tends to the smoker at Canyon City Barbeque (347 N. San Gabriel Ave) in Azusa, a .6-mile walk from Azusa Downtown Station. Hint: try the brisket and/or loaded spud. 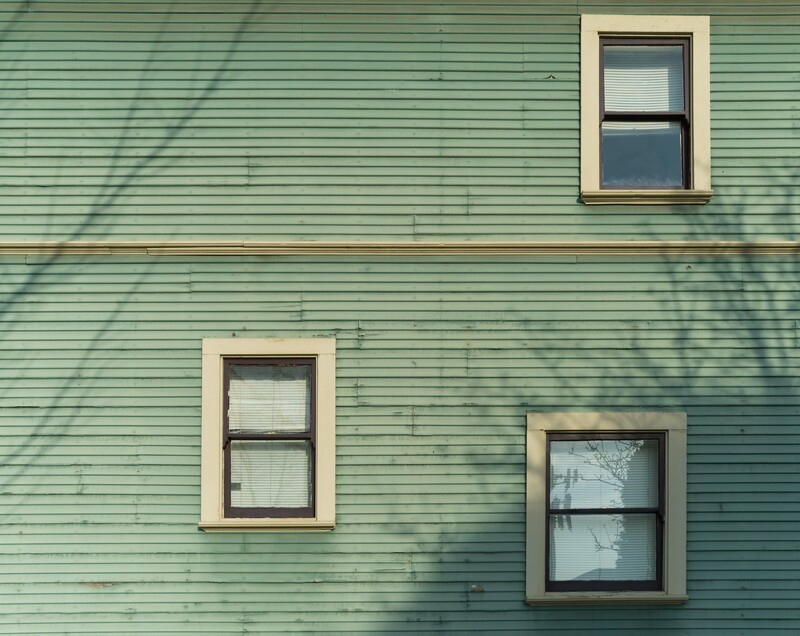 Nice light, nice colors in Duarte. 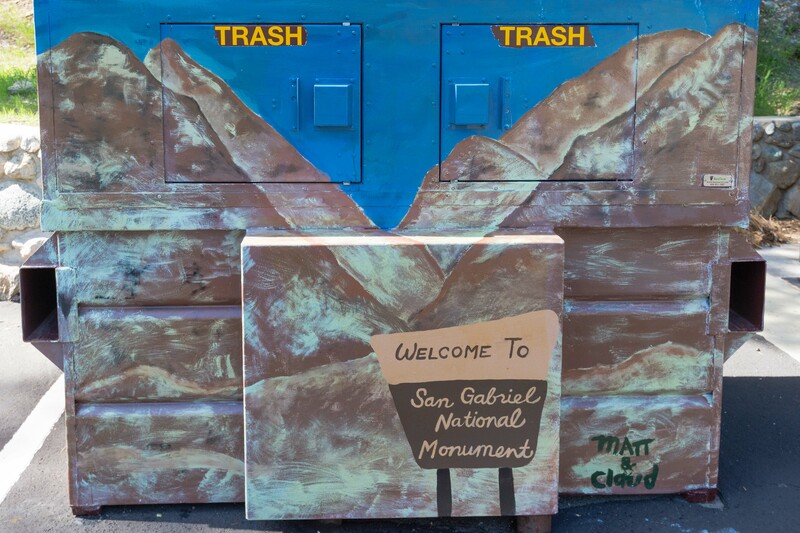 The Foothill Cities have a number of regular visitors. Old building and great signage in Old Town Monrovia. 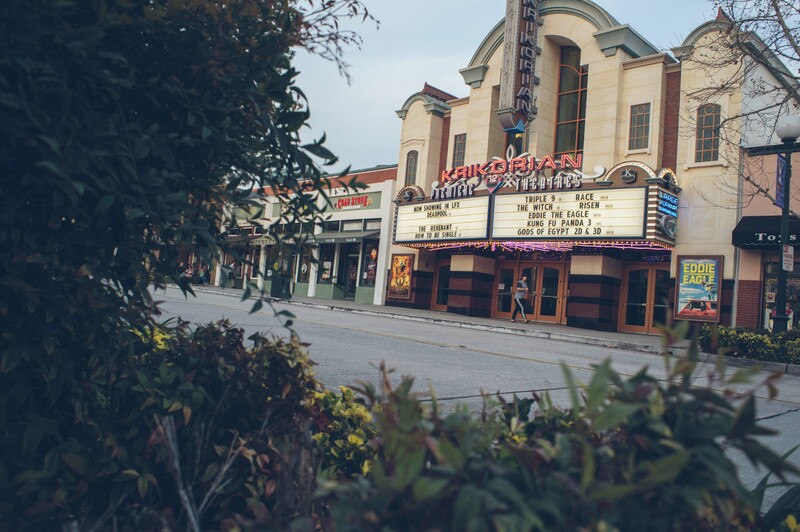 The Krikorian multiplex that sits in the heart of Old Town Monrovia. 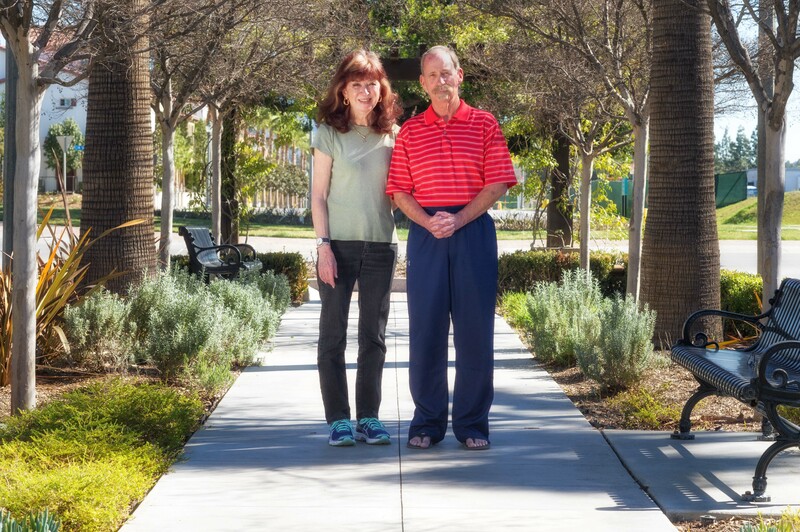 Jan and Dan Pilon purchased a home in the Rosedale development in Azusa few years ago with hopes that the Gold Line would one day arrive. 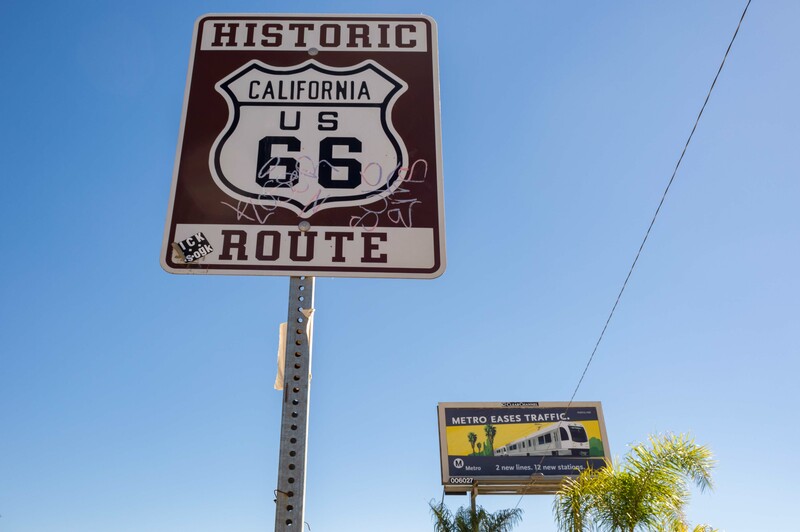 With the APU/Citrus College Station within a short walk, the couple — who are retired — are planning to use Metro Rail to visit many of their favorite destinations such as Pasadena and downtown L.A.
Metro Rail safety ambassador in Azusa. 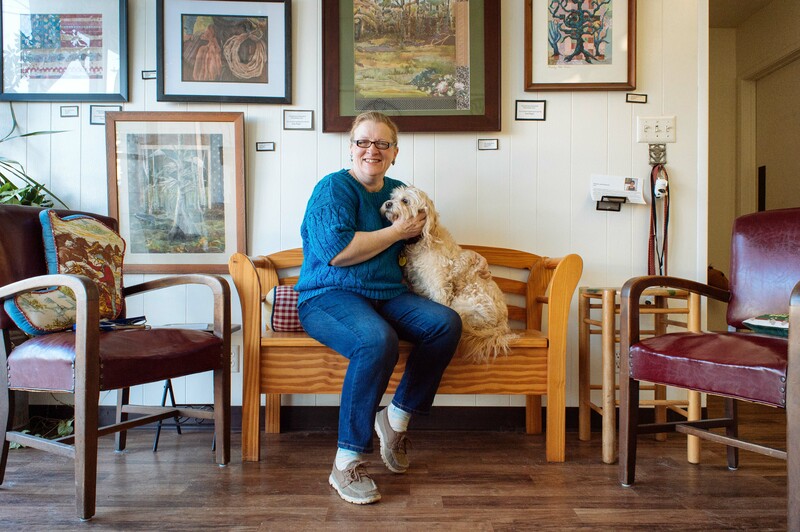 Brenda Trainor co-owns the Wonder Dog Ranch in Monrovia (220 Taylor Street), near the Gold Line station. She’s hoping for a bump in business from commuters who need doggy dog care services. 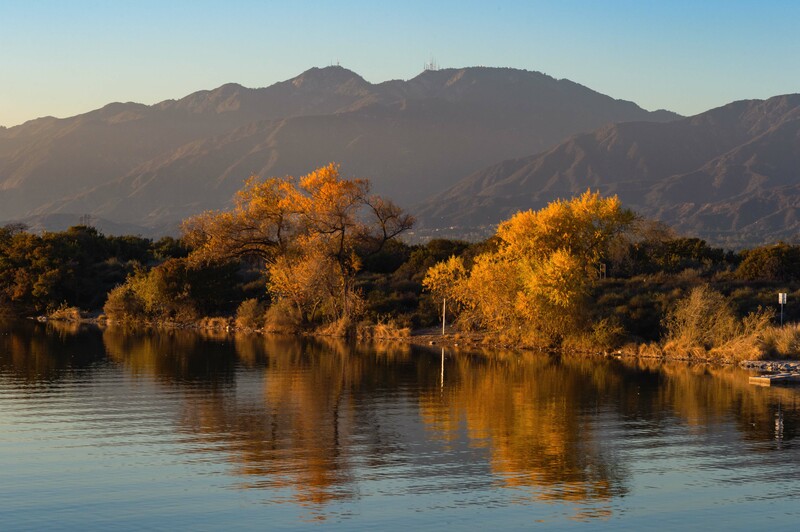 The lake and very late fall colors at the Santa Fe Dam Recreation Area in Irwindale. 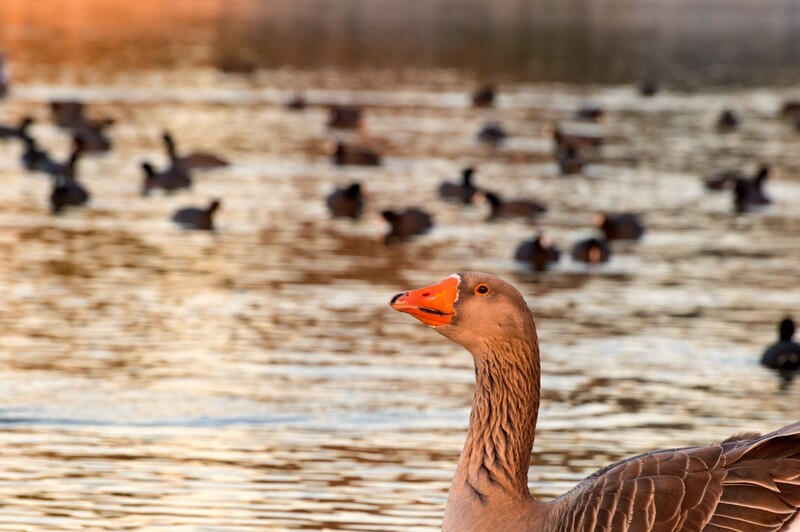 Waterfowl at the Santa Fe Dam Recreation Area in Irwindale. 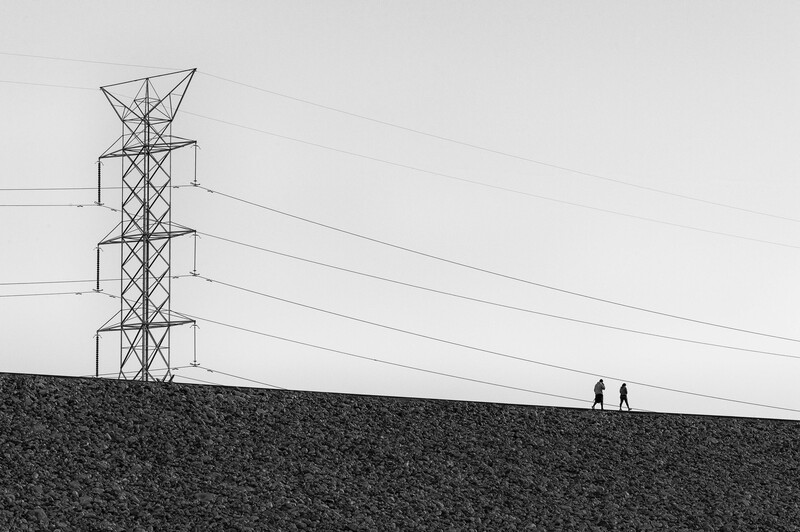 Walkers on the walk/bike path atop the Santa Fe Dam in Irwindale. 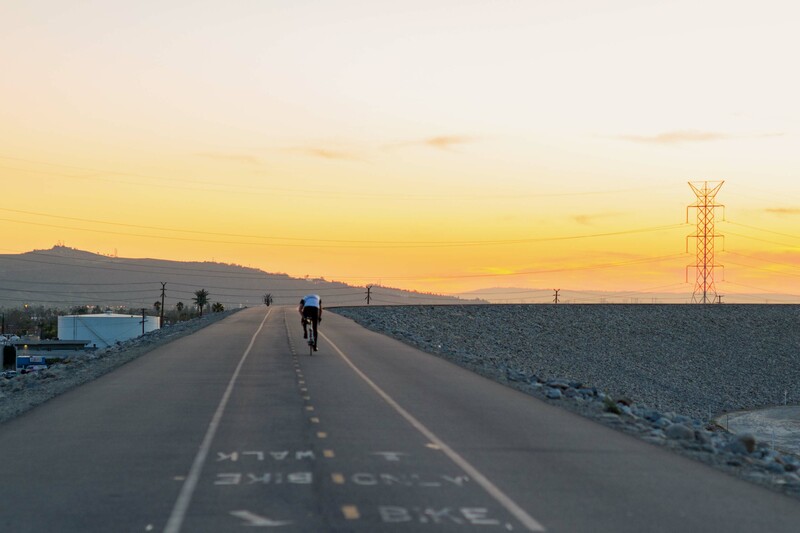 A cyclist on the bike path atop Santa Fe Dam in Irwindale. 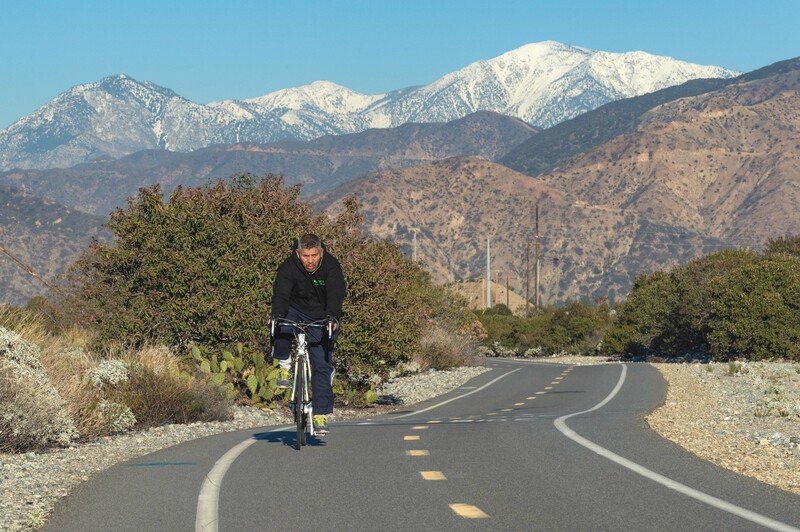 San Gabriel River Bikeway after a storm earlier this winter. Sculpture near library, Old Town Monrovia. 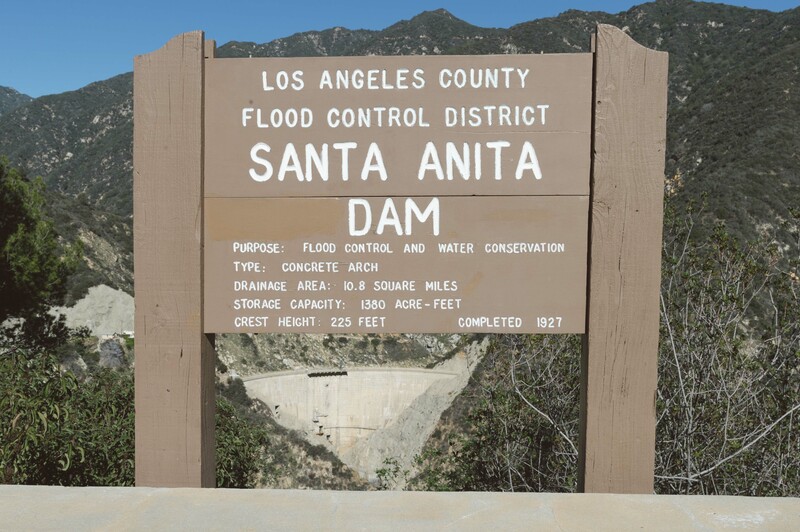 The dam sits above Arcadia and holds back water and debris from the San Gabriel Mountains. 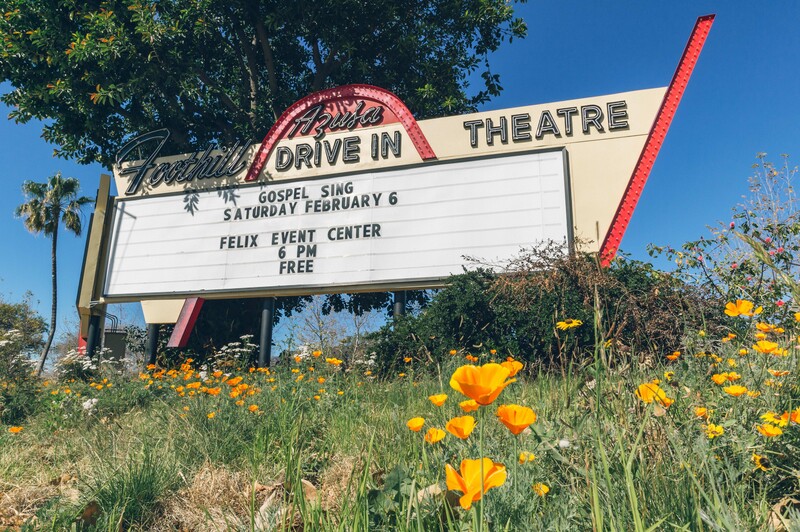 A remnant of a former drive-in on the Azusa Pacific University campus. And a more futuristic building — next to the sign — at APU. 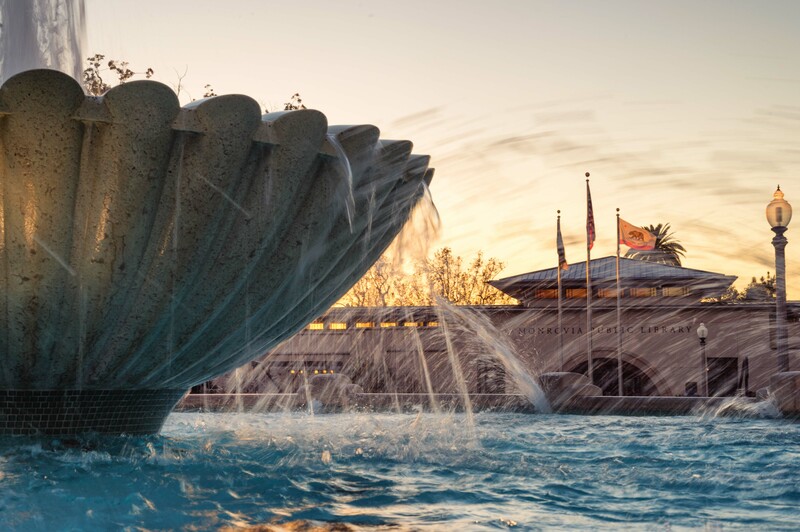 The fountain that sits in front of the library in downtown Monrovia, a short bus ride or one-mile walk from the Monrovia Station. 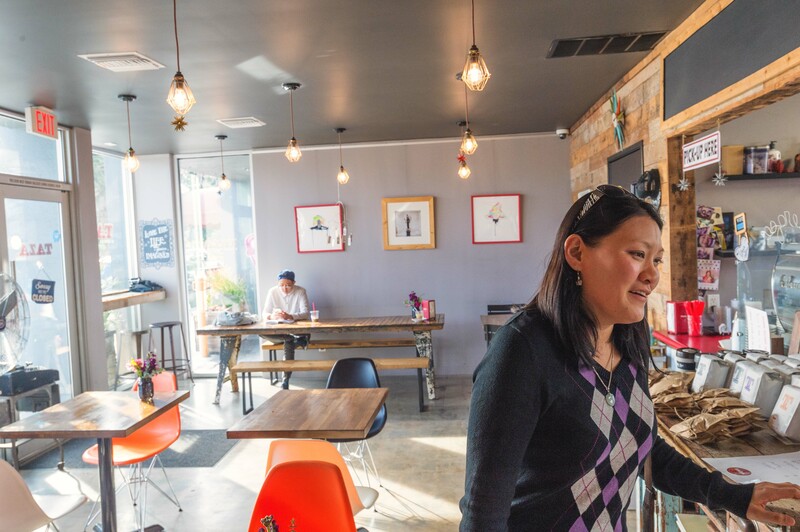 My colleague Anna Chen at Taza, a great coffee house in Arcadia (11 W. Huntington, short walk from Gold Line station. 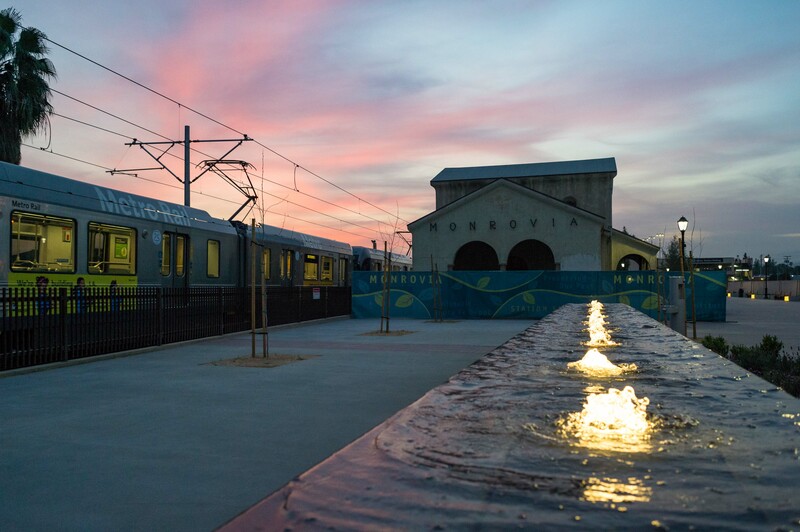 The depot promenade in Monrovia that was built as part of the Station Square project. 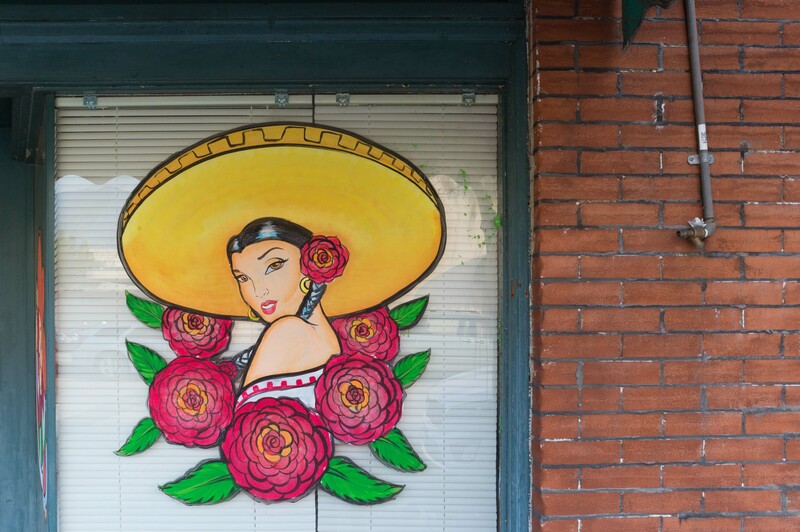 The plan will also include a renovation of the old Santa Fe railroad depot. The above is just some of what I shot. 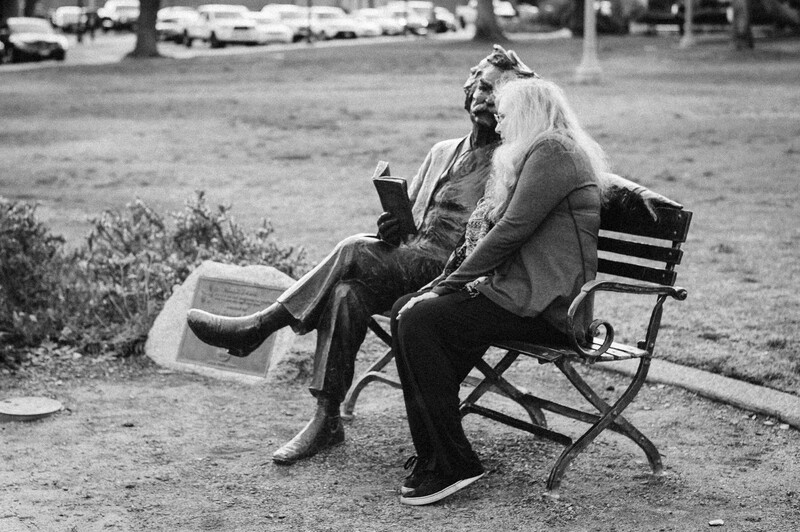 See the entire collection here. Thanks Woody! I’ll post the entire batch on Flickr as soon as I can — there are a bunch I didn’t use in this just to keep it from being even more outrageously long and self indulgent than it already is 🙂 Had a few from your class I really liked, but I picked this one because you can sort of see the students thinking. Thanks again for your help with this!!! 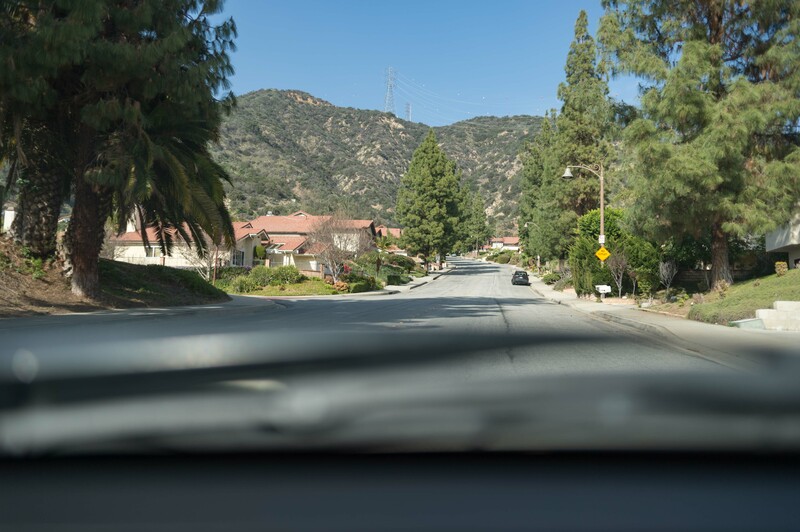 What be the easiest and fastest way to get to Azuza from UCLA? From Wilshire/Westwood intersection: Metro Rapid 720 to Purple Line at Wilshire/Western to Union Station. Transfer there to Gold Line to Azusa. Long ride but should be able to accomplish on $1.75 regular fare, which includes free transfers. 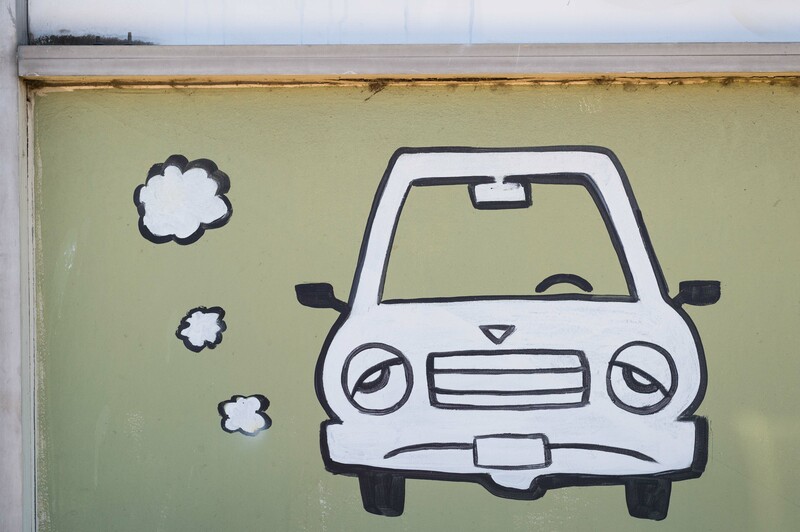 Use Google Transit to plan your trips. Nice job on your essay. 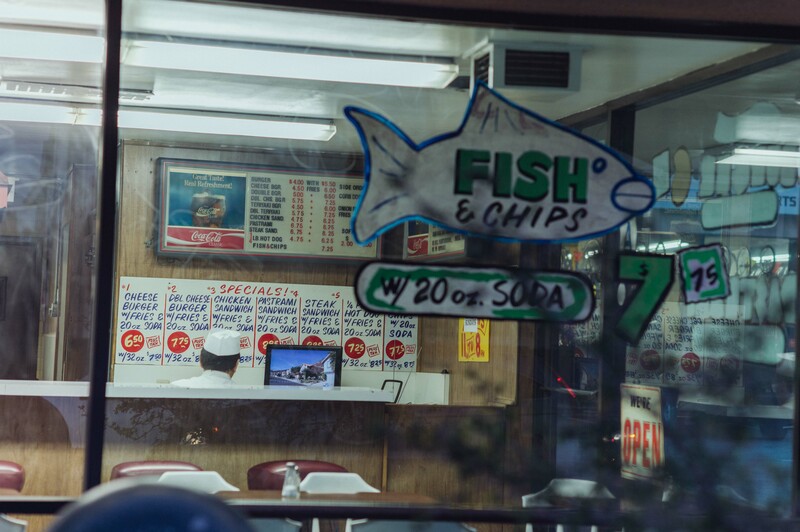 I’m looking forward to hitting all the old dinners mentioned. 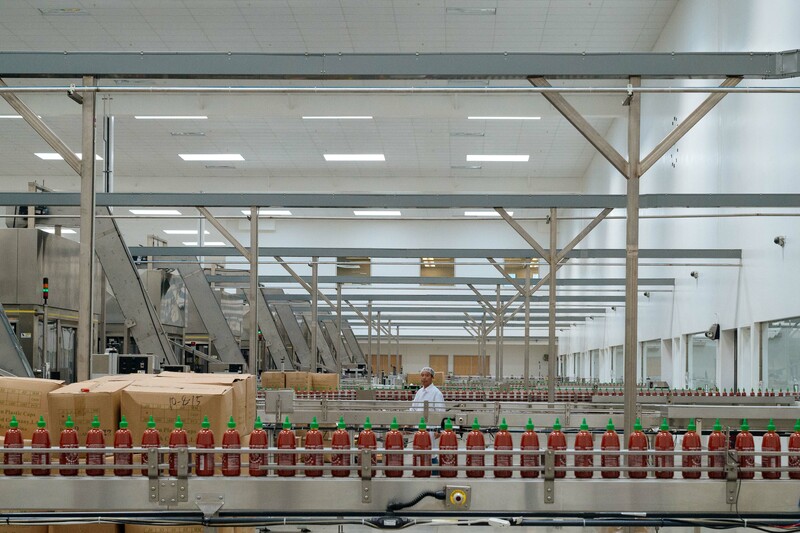 I haven’t been to Huy Fong Foods yet, but look forward to hitting that up too. Nice that you put a bit on the Bridge to Nowhere, but no love for the Tunnel to Nowhere? Thanks much. Tunnel to Nowhere? Where is that? Up on the abandoned stretch of Highway 39? Intrigued! 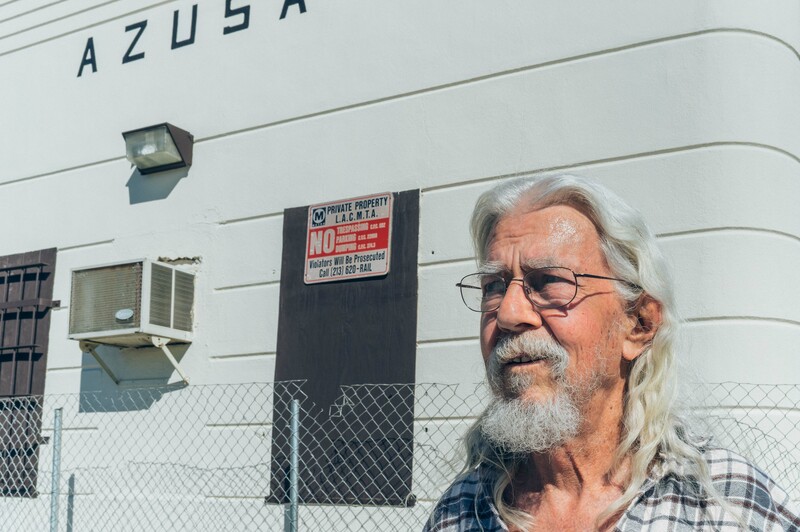 At the risk of really screwing the link up, I’m just going to say google “tunnel to nowhere azusa” and it will be the first hit. Speaking of Highway 39, I’m looking at taking it all the way up to Angel Crest Hwy with my bicycle. Should be fun. Do a little camping. You’re very welcome! Hope you put the train to good use!